Breakfast (Monday to Saturday): 7:00am-11:00am. Lunch (Monday to Saturday): 11:00am-4:00pm. Dinner (Monday to Saturday): 4:00pm-10:00pm. 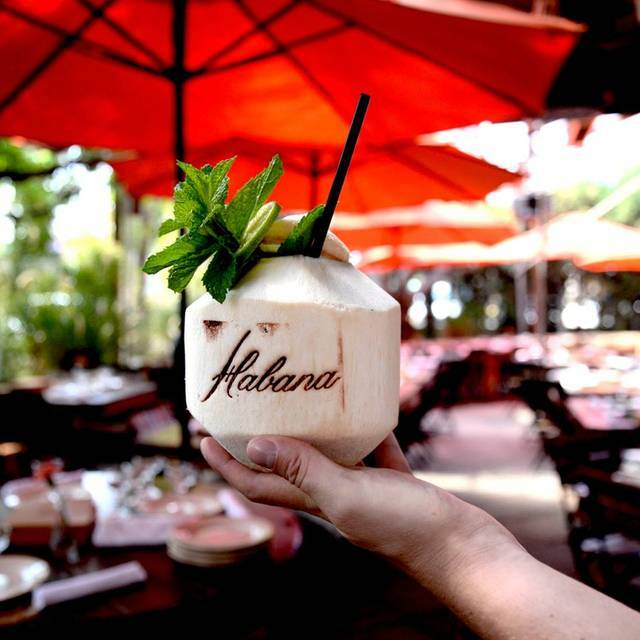 Originally opened in 1995, Habana has become an Orange County staple, offering the coastal community a lush Cuban and Pan-Latin experience through its authentic cuisine and cocktail program. 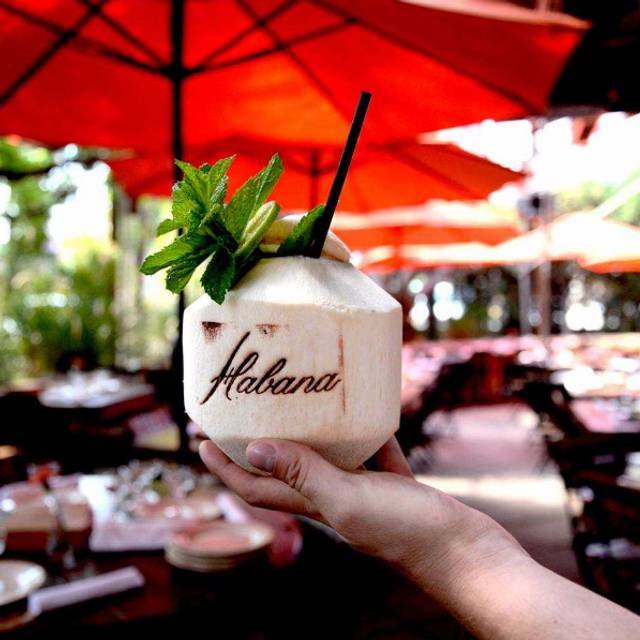 Spanning 20 years as a favorite culinary destination, Habana lends itself perfectly for date night, celebrations and simple moments that have created memories for many. 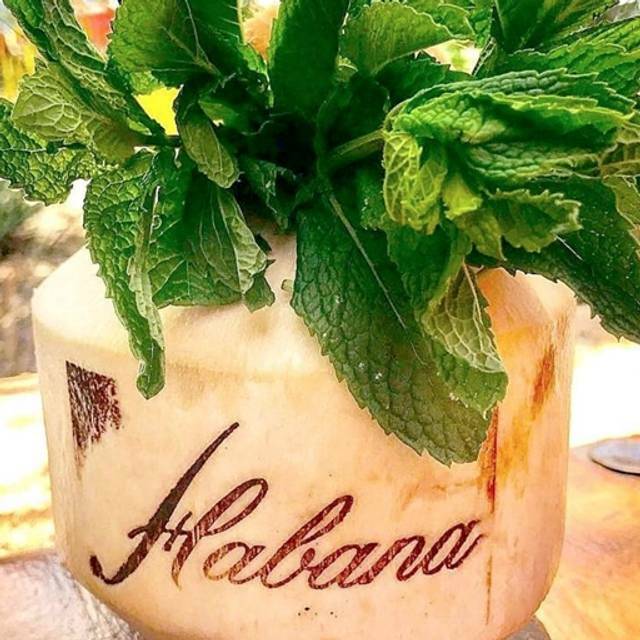 Guests will enjoy specialty cocktails and celebrated dishes will mix classic Latin favorites as well as Habana’s own take on specialties. 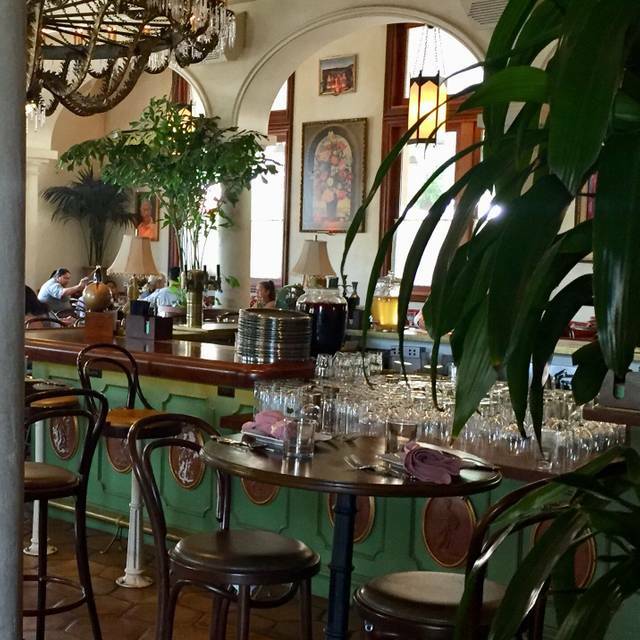 Habana will be offering a Delicious Cuban Brunch Buffet on Mothers Day. Early Brunch Reservations from 8am to 8:45am $55 per person & Reservations after 9am to 3pm $65 per person. Due to high demand we require credit card information. Cancellations may be done 4 days before May 12. My kids have been talking about bringing us here for the last year when we came from out of town. Food was good but the service was quite poor and seemed confused. We couldn’t get water when needed and then when someone came they’d only fill some of our glasses not all five. We kept asking for things that we needed. The lack of attentiveness made the whole thing a distraction. First time, We absolutely loved it! !service was very attentive, Rey (manager) make us feel like home, he is the man!! Great food, absolutely a must. Really pleased with our first time to brunch here. Service was fantastic, the buffet selection was wide, the restaurant's Cuban-style atmosphere was cute and lively (we sat outside), and the food was outstanding - everything we ate was quite tasty and flavorful. It's not the cheapest brunch, especially if someone in your party doesn't eat a lot; however, it was quite good, and we definitely will be back, either for brunch again or to explore dinner. food was GREAT! but for the price, I would have expected drinks to be included. Everything was perfect, server very friendly, attentive. Food was to die for! Place was interesting, very lively, had great food and drinks. Would definitely recommend. Despite having a reservation for 3, we were seated at a table for 6. We immediately told the hostess this was not going to work, as we did not want to be at a huge table trying to talk to each other. As punishment - they sat us in a tiny corner table, for 2, outside in the furthest corner of the "bakery". My back was against the refill station and I had waiters constantly in and out of the area bumping into me and reaching over me to get their things. I am truly disappointed by this entire experience. Food was "so so" at best, and we left feeling unwelcome and unsatisfied. The food and service were very good. The only thing I did not like was the Caipirinha. The Cachaça was not good at all and I've had good Caipirinhas. The food is delicious! We tried the ceviche tropical, tamal and a fish dish and they were all fantastic. I was drooling at the dishes that were being served at nearby tables. Everything looked so good. Food is hit or miss. Tonight’s dish was under seasoned and bland. It’s so loud in there I had to shout to my table mates. Good food, good decor and great service from our waiter Ryan. Ryan was able to recommend excellent entrees as well as our two rum cocktails. This is one of my favorites to go to close.to home. I ate here for lunch once, thought it was just ok. Decided to give it another try for dinner, was just meh. For the price, I’d rather gone to Bandera’s or Javiers. Brunch was delicious and the service was great. Over priced food and weird decor in the dining room. Mojitos were the best part of dinner. Food and drinks were outstanding. 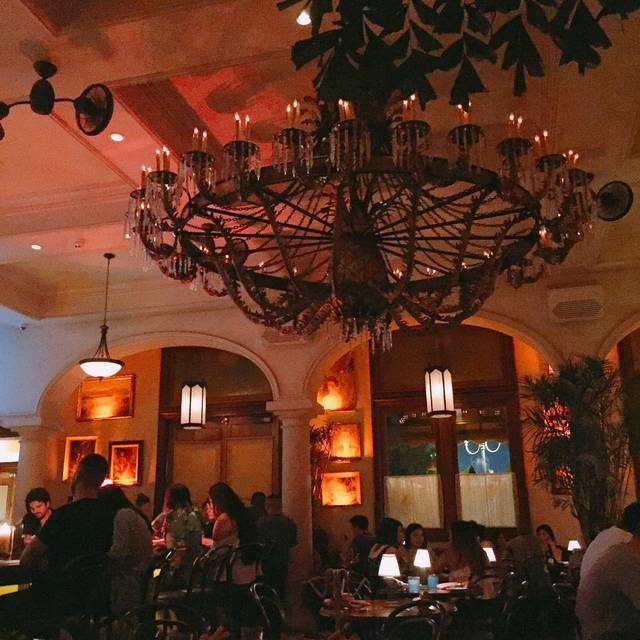 Beautiful decor, great music and amazing service. Definitely returning soon. 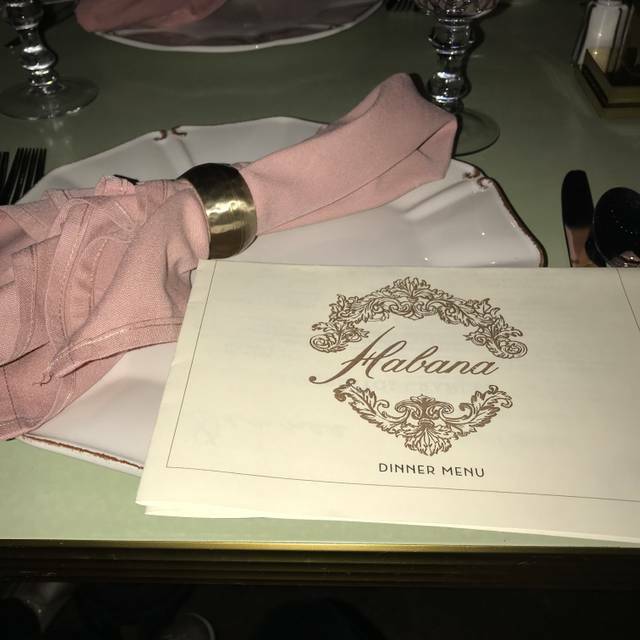 I love Habana, but this time the food was awe good. The pork shank which usually the meat is falling off the bone was tough and crunchy!!! Way over cooked and my boyfriend got the T-bone steak, he asked for it medium rare and got it well done! I don’t know if they have a new chef or not but the food was not prepared well at all. The original experience with dining and food was awesome this time the food was terrible. Hopefully the next time it will be better because overall I like Habana! 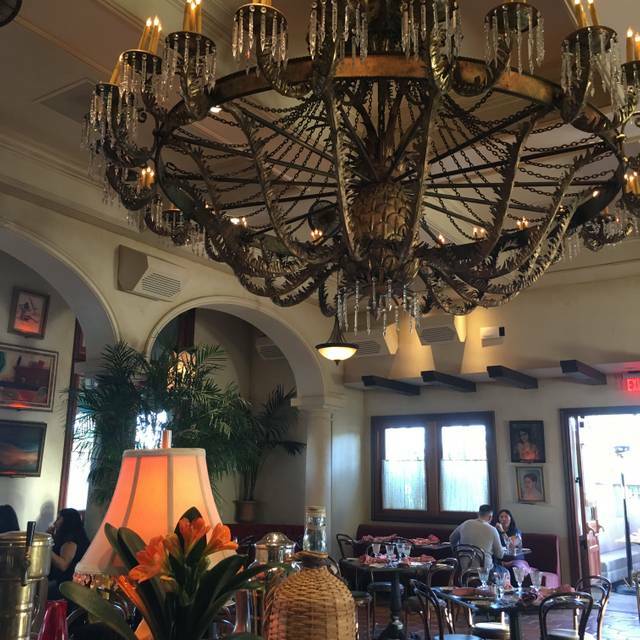 It's possible that a diner's experience at Habana-Irvine would vary according to what area of the restaurant they dined in. The main room, is quite lovely, with a huge thematic chandelier but also quite nosy. The Rum bar area is pretty and excellent for bar dining. We ate in the outdoor patio area, and it was just ok. The area was very crowded with multiple heaters, over storage of umbrellas and quite honestly needed a good cleaning. Our waiter, Tim, was excellent, and although only on the job for a week or so, well informed. Food service was quick. The Complimentary "root chips" were a real nice touch. Jimmy was awesome, so attentive to our group, very friendly and accommodating. Everything was overpriced especially the drinks. I would only recommend this to To someone who doesn’t want to have a conversation while there. Fantastic waitress gave great friendly attentive service. Staff at front were also friendly and helpful. Does not even come close to what cuban food is. The place is gorgeous and if the food were to match it would be unstoppable. Great service. Very attentive with the endless mimosas. Wait staff was quick to clear plates and answer any questions. Food was amazing. Excellent food and outstanding service. Paella was awesome and loaded with seafood. My wife and I would frequent the COSTA mesa location when we lived in Huntington Beach. 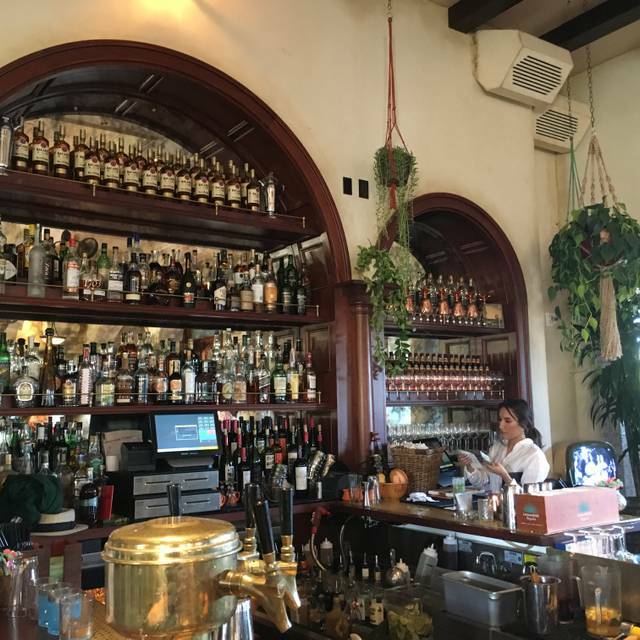 We moved to lake forest and were surprised that there was a Habana at the Irvine spectrum. Overall it was very good. Great service. After dinner we sat at the bar for a couple drinks. The bartenders were very nice and answered all the questions we had about Cuban drinks. We will for sure be back. Fun place! Yummy food! Delicious drinks!! Had the Cauliflower lentil dish, it was very salty to the point it was bitter. I asked for a piece of bread to cut the salt taste down, I was charged $4 for the bread. First time and quite possibly the last. The food was pretty good, and they had pretty good options, but i was most impressed by the fact it doesn’t feel like you’re in a shopping area, they did a really great job with the ambience. 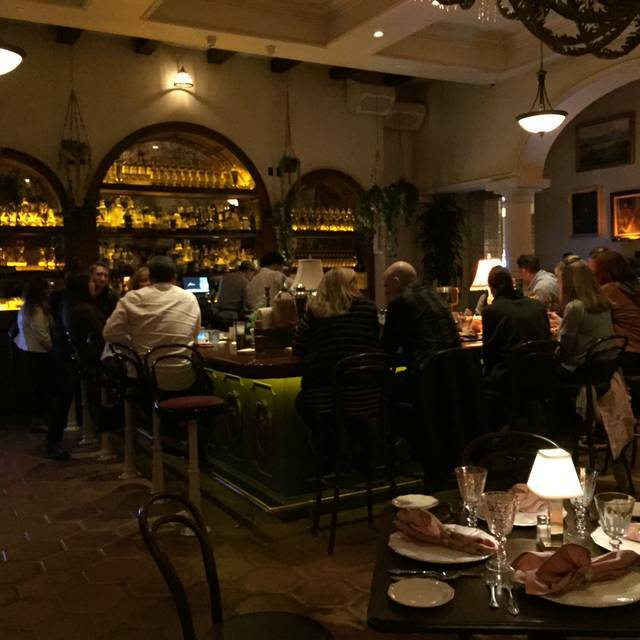 Great restaurant with a very strong Cuban vibe. I'm Cuban so I know very well what I love most about my culture. The food was good but came out a bit cold and the waitress disappeared and looked frustrated when she noticed my date and I were not going to order any more food and just drinks. I had to ask one of your waiters to help find her towards the end so I can pay the check. Other than that, the restaurant is beautiful and the band that was playing was very good as well. I am a Cuban percussionist so I can appreciate good Cuban Son Music when I hear it! First, the service was excellent. We had vegetable chips and dips...amazing! We also enjoyed the crab cakes. Drinks were on point. We had the old fashion and blackberry mojito. However, the main course was not so great. The salmon dish was good but the halibut was over cooked and you couldn't even taste the wine sauce with the capers. The main dish should have been much better considering the price. We'd go back but just for appetizers and drinks.